The eastern pipistrelle is also commonly referred to as the tricolored bat due to the tri-color of individual hairs as they are gray at the bottom, tan in the middle, and dark on the tips. Their overall color can vary but it commonly ranges from reddish-brown to yellowish-brown and their undersides are slightly lighter in color. This bat is one of the smallest bats that are found within Kentucky. They barely reach lengths of 3 ½ inches and their wingspan can reach to a touch over 9 inches. They are a far-reaching species as they are spread across the eastern United States and westward into much of the Central Great Plains region. They are found as far north as southern Canada and as far south as Central America. They are residents of Kentucky during the summer and during migration periods. It is said that almost every cave across Kentucky will have, at a minimum, a few hibernating eastern pipistrelles. They are considered to be semi-migratory because some populations will travel north in the summer unless the weather in their summer regions is favorable for hibernation. They prefer caves, rock shelters, and quarries as their optimal hibernacula and they rarely cluster together during hibernation. 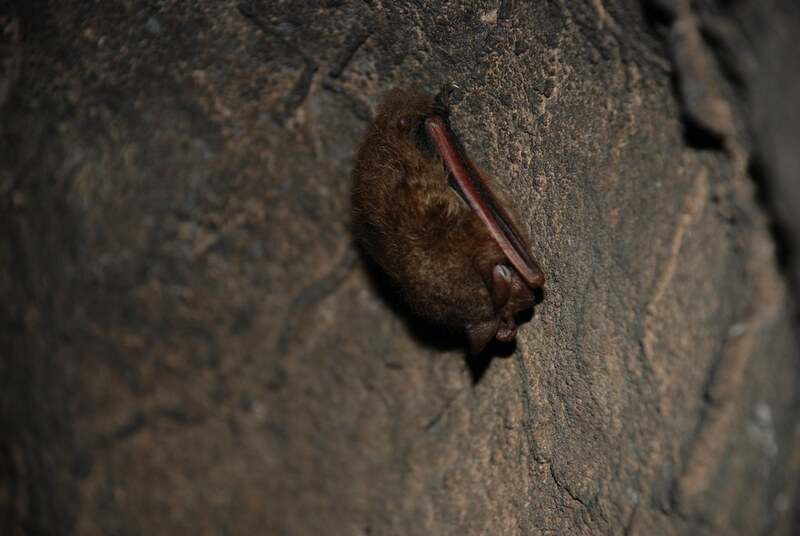 These bats prefer the warmer, more humid areas of the caves to hibernate in so that they do not need to cluster. They are normally seen hanging singly from the ceiling or wall of their hibernation roost. There is not a whole lot known about their summer roosting, scientists speculate that they use tree hollows and man-made structures alike. Males will roost separately from the maternity colonies and they will roost just about anywhere that suits them. Pipistrelles eat minute flying insects as they hunt along stream corridors, throughout the forest understory, and along the edges of the forests as well.